Everyone was talking about the weather – so why not at the Monastery Market in Walkenried? In previous years the market had always been blessed by wonderful sunny autumn days, but this year, despite early positive forecasts, the organizers had reason to fear that torrential rains would sweep the visitors away. But the obviously good connections of the market participants "up high" resulted in the wonder of Walkenried: the weather stayed dry for the two days of the market. In its tenth edition, the market had lost none of its unique atmosphere of "mirthful serenity". It was lively and calm, busy and spiritual all at once. 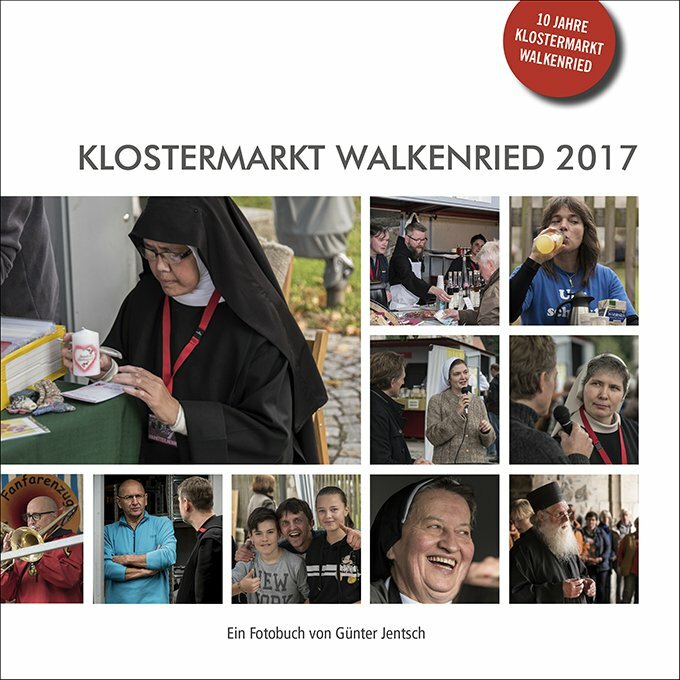 It is this wonderful mixture of market activity and the encounter with the lifestyle of monastic communities that makes the Walkenried Monastery market so special. In particular, the interviews under the chestnut tree never fail to generate new and surprising insights into monastic life. It may not have rained in Walkenried, but it did rain around Walkenried. This may have dampened some people's enthusiasm for travelling to the market. But 10,000 visitors was still an impressive result – especially when one bears in mind that the history of Walkenried began with one abbot and 12 monks! The dates for the 11th Walkenried Monastery Market have already been set. It will be held on 22nd and 23rd September 2018. Zum Zurücklehnen noch zu früh: Der 10. Klostermarkt legt los. Das Wetter drohte. Ein Bluff! Hier wird eine Kerze individualisiert. Terence Dowling predigt von Oma. Das verstehe einer. Sie sind von Kopf bis Fuß auf Babys eingestrickt. Sieht so eine Filzlaus aus? Diakonisse? Später noch mal nachschauen. Ave - wir Holzfiguren grüßen Euch. Wer einen Pfad suchet, der findet ihn. Der Künstler lässt sich blicken. Für eine feine Botschaft braucht's eine feine Geste. "Was ist eine Erzabtei?" fragt sich der Harzer Bergmann. Am Ende kommt er, weil er kommen muss: Der Reisesegen. The best pictures from the Monastery Market are available again this year as a photo book. Available in the Museum Shop. The photo books for the Monastery Markets 2008 to 2015, which are sold out, are available as free downloads.